Why do we need 90 essential nutrients daily? Why do we need 90 essential nutrients daily? Why do we feed our livestock with extra vitamins and minerals and we might not do that for ourselves?. Mighty 90 nutrients are needed for great health. I listened to Dr. Joel Wallach who was raised on a farm – where the animals all got vitamins and all the essential minerals. He later became a Veterinarian and then a ND where he treated human beings. In the following article you will read why we need 90 Essential Nutrients Daily. This is a summary of a lecture by Dr. Wallach with a few added personal statements.Why Do We Need 90 Essential Nutrients Daily? He said the “The animals don’t have Health Insurance”, better to treat with nutrition. Farmers have to keep their livestock healthy or they won’t be able to take them to market. If animals were treated in the Human Health Care System, we would be paying $275 a lb for beef. The farmers prevent disease by making sure the animals are treated with good nutrition and all the Trace Minerals that will keep them healthy. In Veterinary School Dr. Wallach had confirmation about what he learned on the farm that vitamins and minerals were to be given to the animals to treat disease. After Dr. Wallach working in zoos for 12 years and doing autopsies as a Veterinary Pathologist, on 17,500 animals, 454 species and 3000 human beings he discovered that all who died of natural causes died of a nutritional deficiency disease. Dr. Joel Wallach has written 75 books, 1700 newspaper articles and journal articles and he couldn’t get people excited about prevention of disease. Frustrated he went back to Medical School and practiced as a physician for 12 years. He used what he learned from Veterinary School on his patients. 2) 900 deficient diseases have Not been getting all these nutrients for some time. What happens when missing trace minerals are introduced into people’s diet? Why are trace minerals not getting into our vegetables and into our diet? With our present farming practices all the minerals we need are no longer in the soil. These minerals that are NOT in our food come from the minerals in the veins in the crust of the earth. Plants can’t manufacture the additional minerals of the 60 of the nutrients we need every day. These nutrients ⅔ of which are minerals and trace minerals and are necessary for us to maintain optimum health. Our bodies can’t use the RNA, DNA, hormones, oxygen without mineral Cofactors. With our present farming methods, farmers use a Formula called NPK, Nitrogen, Phosphorous and Potassium that is used to fertilize to give them high yields of the crops we eat. We have had a lot of over farming and we don’t often do a rotation of crops and turning the crops back into the field the way small farmers used to do. How has Agri-Business changed the nutrient value of what we get in our diet? We now have Agri-Business that have a farmer travel from field to field to advise the field men what they need to do next. They are hired by the Bosses in Agri-Business to manage the fields. It has become very impersonal. Farming has changed dramatically after WWII when the Petrochemical Industry came into being.. There were no tax incentives or tax breaks to make sure the food that was grown had all the nutrients we need to be healthy. 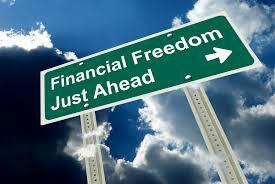 Agri-Business was based on high yield and maximum profits. We were on our own to get the additional minerals we needed. After talking with one of these Farmers that goes field to field, he told me that he loved working with Organic Farmers because they care about the quality of the food and the quality of soil and really care about what they are bringing to market. Interesting that with animals they do supplement the Feed Diet and did this in 1936 and thereafter, with the essential Nutrients including the essential trace minerals to keep the Livestock healthy. It was an economic necessity to keep all farm animals and ranch animals healthy. In 1936 there was a US Senate Bill that identified that we were Not getting the Minerals we needed. The lack of minerals in our Soil was discovered in 1936. Because of our farming practices, we no longer have the essential minerals in the ground being farmed. Dr. Wallach pointed out that with the introduction of Pharmaceutical Discoveries such as Sulfa in 1936, Penicillin in 1938 and Cortisone in 1942 it was easy for the Medical Profession to con the Public into believing all the answers to health issues would come from the Pharmaceutical Industry. His belief is that if we give them enough money our ailments will be solved. 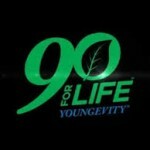 There are 900 preventable diseases with the supplementation of 90 essential nutrients including all the minerals. 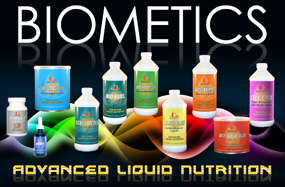 If you use Plant derived Colloidal Minerals they are up to 99% more available versus Inorganic Minerals where absorption is only 3-5% available. We are designed to get our minerals through grains nuts and eating fruits and vegetables. Plants take the minerals out of the soil and convert them to the minerals we need to be healthy. Because getting these nutrients in our vegetables and fruits that we buy from the grocery store will most likely will not be there, it becomes our responsibility to make sure that we get the minerals and nutrients we need to be our healthiest. 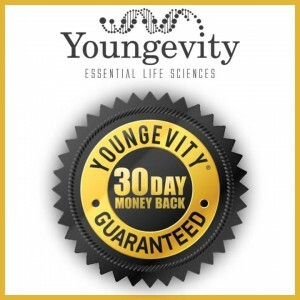 To find out how you can get your complete organic vitamins and all 90 minerals and ensure you get the best health supplements. These nutrients are in a suspended colloids solution for the best absorption. Click Here. Thank you for this very useful information on taking the 90 essential nutrients. Im glad that you shared this, this was new info for me. I learned a lot on your site and will be making a purchase. I want my health to be the very best it can be. Please keep us up to date like this. Thanks for sharing. Yes l agree with many of your solution and understand the importance of all you can do for yourself ..Where can l source quality vitamins sold to the public on line that l know is quality vitamin companies for reasonable prices as l am doing the best l can on a pension so l want to avoid health food stores with poor quality control vitamins as you mentioned in your video. Even in Canada we are limited to high cost health food stores selling poor quality controled vitamins for extremely high prices . No one can afford Health Food Store Pricing poor quality products. 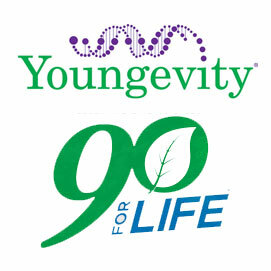 What companies do you know that l can have shipped to me..
Hello, Youngevity ships to Canada. You can order from this site directly or go to http://www.become10yearsyounger.com and check out all the products available.